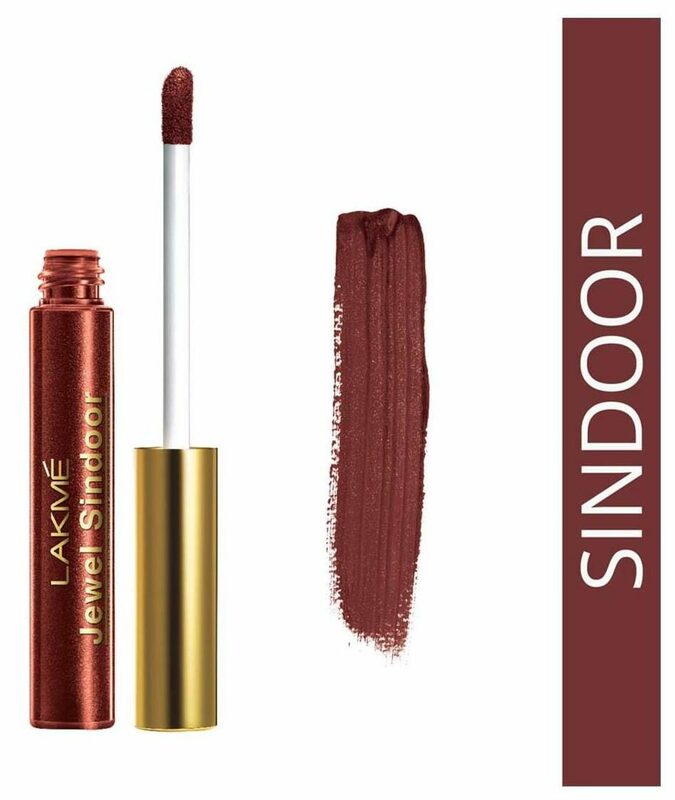 For the modern woman of today who simultaneously likes a touch of tradition, this is Lakm Jewel Sindoor.A liquid based sindoor that allows precise application and comes in two classic shades red and maroon. Giving that finesse with a sponge tip applicator, this symbolic tradition is now a non-messy affair. Complete your traditional Indian look with the maroon stroke of the Lakm Jewel Sindoor. This liquid based sindoor by Lakm has a long-lasting, smudge-proof formula to give you good wear-ability and to make it long lasting. The deep maroon color of this sindoor is inspired from the actual shade of the powder but it's much easier to carry! A ubiquitous part of the married Indian woman s look, the sindoor not only plays a symbolic role, but it also enhances the beauty of the woman wearing it. Get the Lakm Jewel Sindoor today and feel like a bride everyday! Lakm is one of India s leading color cosmetic brands offering a wide range of high-end, world-class color cosmetics and skincare products. Lakm has a vast product range specially crafted by experts for the Indian skin. The brand has also been redefining fashion in India for over 15 years with Lakm Fashion Week, India s premier fashion event.